Despite this positive reply from PayPal, people still experienced all sorts of troubles on their PayPal accounts. Some accounts went limited after months and years of running them, whereas, others went limited within a few days of creating them. Recently, someone lamented that his UAE PayPal account went limited after he had got a payment of $1000 in it. So, when he wanted to withdraw the funds, his account became limited, and he couldn’t send the payment again. PayPal fund exchangers kept saying, “Any PayPal account that isn’t operated on a static IP goes limited whether it’s been verified or not”. But I noticed I’ve been using my PayPal account for the past seven years now without using a static IP at all, not until I recently decided to buy a static IP so I could figure things out myself. From my personal observation and years of experience, PayPal isn’t meticulous about the Internet Protocol (IP) address on which you create and access your account, but strictly about the fact that you’re the account owner. By switching to the static IP, I figured out that PayPal would only want to be so sure that the account is yours before you can be allowed to send payments. This, in the first place, proved most people wrong that a PayPal account goes limited unless it’s created and accessed on a static IP only. In simple terms, PayPal is an online payment processor used by millions of companies and individuals home and abroad to send and receive online payments, settle utility bills, accept credit cards, issue and obtain business loans as well as set up a business. In the online business world today, PayPal is the most widely used payment processor operated in more than 199 countries of the world with more than 200 million active accounts. Who Can Use PayPal to Send and Receive Payments? Anyone from anywhere in the world can send and receive payments via PayPal. The technology implementations and security measures PayPal added to its network made a lot of people have a wrong impression/thought about the system. As the most integrated online payment processor, yet the best, fastest, simplest and easiest way to send and receive online payments in the world, PayPal is open to everyone except in some parts of the world where corruption has taken an edge over everything. Despite all, PayPal still made it feasible that people can pay for online transactions even from any location in the world. Does PayPal Get Hacked Despite the Technology Implementations and Security Measures? Yes, in spite of all the technology implementations, protection and security measures that PayPal uses, it still gets hacked. There are software developers out there who hack PayPal funds daily using their innovative ideas and skills in a negative way against humanity. So, because of this awareness, PayPal keeps integrating its system daily to get rid of hacks and hackers and to prevent unauthorized persons from sending payments out. Some years back, People used the Virtual Credit Cards (VCC), Virtual Bank Accounts (VBA) and Virtual phone numbers to verify accounts. What has just come up about the use of all these virtual documents for verifying PayPal accounts? Gone are the days when you could open and fully verify a US PayPal account with your virtual credit card, virtual bank account and virtual phone number alone. Recently, the US government stopped the issuing of virtual accounts by banks to the people located inside and outside the states which made it difficult now for the unverified PayPal users who don’t own a real US bank account to get a fully-verified US PayPal account from anywhere in the world. And this has added more to the measures PayPal has been taking so far to make its system more secure for all US PayPal users both inside and outside the US. So, you can see it’s not possible to get a fully-verified US PayPal account from anywhere in the world without having a real US bank account (Checking or Savings) except you’re going to get terribly scammed. A lot of non-US residents wouldn’t be sure as to whether it’s safe to operate a US PayPal account from a location outside the states or not. Though they’re willing to operate US PayPal accounts and do business with US companies from their respective locations outside the states, many have been forced to create other countries’ PayPal accounts, not even knowing the limitation risk ahead. It’s common with these people to use fake phone numbers, fake locations, proxies, VPNs and all the stuff for the opening, but it’s certain that they’ll be frustrated in the long-run. One of the cases we heard about recently is that of a UAE PayPal account that went limited with a sum of $1000 loaded in it. This particular folk (The owner of the account) has been clamoring for the way out of this trouble, whereas, for the account limitation to be removed, he must submit all necessary documents about his PayPal account in Dubai (A country he has never visited let alone getting its bank documents to submit) through the resolution center. A lot of people still advertise on their sites and blogs selling fully-verified US PayPal accounts (With a VCC, VBA & Virtual Phone Number) for $75, $80, and lots more. That has become a thing of the past. When you come across such adverts, know that you’re dealing with scammers. They will scam you if you believe them. Do not get scammed again after reading this post. Beware of scammers. When and How Did I Begin to Doubt the Security of a VPN Static IP to Access PayPal? A static IP uses a Virtual Private Network (VPN) server which PayPal hates so much and frowns at on detection. A static IP requires a strong and stable internet connection to function without defaulting at all which not 100% is guaranteed due to unstable weather conditions and low internet connectivity everywhere. A static IP frustrates if, unexpectedly, disconnection occurs (Due to the conditions stated above) the same moment you’re accessing your PayPal account. PayPal detects the use of a VPN software on your system automatically the moment you experience internet disconnections, and your verified PayPal account goes limited. For more than seven years of operating a US PayPal account from a location outside the US, I was sending and receiving payments from my local computer Internet Protocol (IP) address without any issue with PayPal. I opened a US PayPal account from my IP location officially. I verified my unverified US PayPal account with a virtual Credit Card (VCC) and increased my monthly sending limit to $1000. I further increased my sending limit by verifying my US PayPal account with a real (Not Virtual) US phone number which received the PayPal’s automated SMS verification code instantly. PayPal now requires a One-Time SMS verification code to be sent to your mobile or home phone number. This is an automated SMS verification message which most virtual phone numbers cannot receive. Have you come across any post that tells you to install a software that you can use for your PayPal account verification? Well, I’m sorry to inform you that no such a free SMS sending and receiving software is strong enough to receive the One-Time automated SMS verification code sent by PayPal as the system has become more integrated than ever. A virtual phone number can no longer be used to verify a US PayPal account except you’ve got a real US mobile or home phone number from a genuine and reliable US phone service company. Are you living outside the United States, willing to do business in the US? Are you willing to get paid by US companies with a verified US PayPal account of your own? Then you need a strong Virtual Credit Card (VCC) and a US real (Not virtual) mobile or home phone number for a lasting solution to use PayPal from anywhere in the world without an issue. Congratulations to you as the right process to open and verify a US PayPal account officially (Without hiding your IP at all) has been wonderfully figured out. This is part of the promises we made to you in our “About Us” post that we shall continue to publish helpful and informative posts for your consumption in the coming days, weeks, months and years ahead. What’s the 100% Guarantee that Your US PayPal Account will be in Good Standing in a Lifetime? Open an account officially, meaning: Never use a VPN server to create a PayPal account as most people told you earlier. I’m so sorry to say this, that they missed it out in that respect. And, unfortunately, they’ve misled a lot of people too. Get a US real street (Not virtual) address and use that to open an account genuinely and officially, meaning: Never use a fake address to open a PayPal account. The system will automatically detect this and your account goes limited permanently no matter how much you have in it. Add a Virtual Credit Card (VCC) as a first-step verification process. Get a US real (Not virtual) phone number for instant PayPal verification, meaning: Never use a virtual or fake address to open a PayPal account anywhere in your life. You’ll be detected and flushed out of the system automatically. You’ll be frustrated and no one will ever care, help or save you from the mess. Add a 4-digit security pin to strengthen your PayPal account safety & security. Add a security “Question & Answer” measure to make your account security stronger. You could use this as part of your verification options whenever an IP conflict occurs due to a change of IP (Which is normal and natural). And you’ll keep your account secure and safe in a lifetime. Add a US real (Not virtual) bank account (Optional) to go fully verified. What’s the 100% Guarantee that Your US PayPal Account will go Limited Permanently? You open an account using a Virtual Private Network (VPN) server (Private or shared Static IP). You access your account using a VPN server (Private or shared Static IP). You attempt using a fake address to open an account. You attempt using a fake or virtual phone number to open an account. You attempt using a virtual bank account (VBA) to open an account. You carelessly receive a card or PayPal payment into your PayPal account from the wrong source or location. You bought a verified PayPal account that was created on a VPN server or from another IP different from yours. You perform any suspicious activity in your PayPal account. I’ve seen a lot of people who use fake US addresses to open a US PayPal account, playing risky games with PayPal & I’ve also seen how many ended up losing their accounts even when they had got funds in it. Get a US real (Not virtual) street address for your US PayPal account opening and verification, meaning: Never use a fake address to open an account lest the account goes limited with all of the funds in it. We have services at more than 353 locations across the States. Complete rental verification, meaning: You’ll be able to open a US PayPal account with your real street address & verify it without completing rental verification, but due to the US postal regulations, you won’t be able to get your mail delivered to your email inbox until you’ve verified your identification which may attract a one-time token charge. Use your US real (Not virtual) street address to open your US PayPal account officially, safely and securely from anywhere in the world. To ensure you keep your PayPal account safe and secure in a lifetime, don’t hesitate to get back to me by leaving a comment below or, simply, knock a chat to speak with us. We’re 100% ready to help you any time. Or alternatively, you may get in touch with us using our contact page. You may also want to visit us on the forum to ask questions related to PayPal payments, verification, security & safety measures, or learn more about blogging, starting a blog, launching a personal blog, as well as making the most of your blog. Visit the forum home and leave a reply. And we’ll earnestly get back to you. We’re 100% ready to help you any time. What is the Right Process to Verify Your US PayPal Account From Any Location in the World? While PayPal is the safest and most secure way to get paid online, and the very payment processor mostly preferred and used by most affiliate marketing companies and online business communities in the online business world today, a verified account becomes a must-to-have if you really want to make the most of the online business opportunities you have at your disposal. The best, largest, and most reputable online business communities in the online world (Particularly in the United States) pay their members via PayPal and some even require verified PayPal accounts only. So, how do you intend to make the most of the internet marketing opportunities if you don’t have a verified (US) PayPal account? Follow the process below and get your US PayPal account verified right away. Buy a US real (Not virtual) phone number prior to the creation of your US PayPal account but do not confirm it yet. You will need this phone number to open your US PayPal account. (If you’re not ready to buy a US real phone number, do not create a US PayPal account yet neither should you receive any payment into it lest you get your account limited in no time. Create your US PayPal account officially here from any location in the world. Do not hide your IP at all to avoid future troubles as you learned in this post. Be strictly warned. Don’t follow the crowd in doing it wrong. PayPal frowns at VPN servers and can detect you any moment you wouldn’t expect. Don’t see the other side of PayPal in a lifetime. Confirm your unverified US PayPal account email first by clicking on the verification link sent to you via email. Do not use any form of VPNs. Verify your PayPal account officially. Upon confirming your PayPal account email, you will increase your sending limit to $500 a month. The only problem is that you could be required to confirm your US mobile or home phone before you may be allowed to send payments. Don’t have a US real phone number? Click here and follow the step to buy your own US real (Not Virtual) phone number that is strong enough to receive PayPal’s automated verification SMS. Add a strong PayPal Virtual Credit Card (VCC) to increase your sending limit to $1000 a month. Don’t have a strong PayPal VCC? Click here and follow the step to order now. 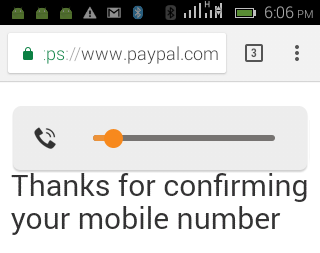 Verify the US real mobile or home phone number used when you created your PayPal account. This is the most crucial part of your US PayPal account verification process. An automated SMS verification code will be sent to your US real phone number and that will expire in 15 minutes for security purpose. Once the code is sent from PayPal, you’re expected to receive it in 1-5 minutes, and your US real phone number becomes verified right away. Congratulations! No more hassle! No more PayPal frustrations! No more sending issues! You’re free. You’re verified. Get your own US real phone number today and verify your PayPal account instantly. Finally, add a US real bank (Not Virtual) account to go fully verified. This actually costs much more money as you’ll need an Employer Identification Number (EIN) to register a business in the US and open a US real bank account. Note: You will never be required to submit/add a US bank account to send payments. (NEVER)!!! You only need it to go fully verified. And with your US PayPal account (Mobile verified), you can start sending and receiving payments safely and securely from anywhere in the world. Congratulations! The best way to create and operate a US PayPal account from your location without getting it limited is to go about it without hiding your IP at all (Without using a static IP, VPN). PayPal believes that you’re in a world of uncertainty, and can have every genuine/cogent reason/possibility to relocate or move from one place to another in search of business, families or anything humanly possible that may warrant such a movement. So, operating PayPal from your own location wouldn’t be a problem at all. Confirming your PayPal email address. Confirming the VCCs used to verify your PayPal account. Confirming your US phone number (If you’re running a US PayPal account). You may be asked to confirm two or three of these verification details by PayPal only to certify that the account from which you’re sending payment truly belongs to you, not someone else. Alternatively, if you initially set a 4-digit security pin and/or a security question & answer, this could be used along with any of the verification documents above to confirm your identity or account ownership. 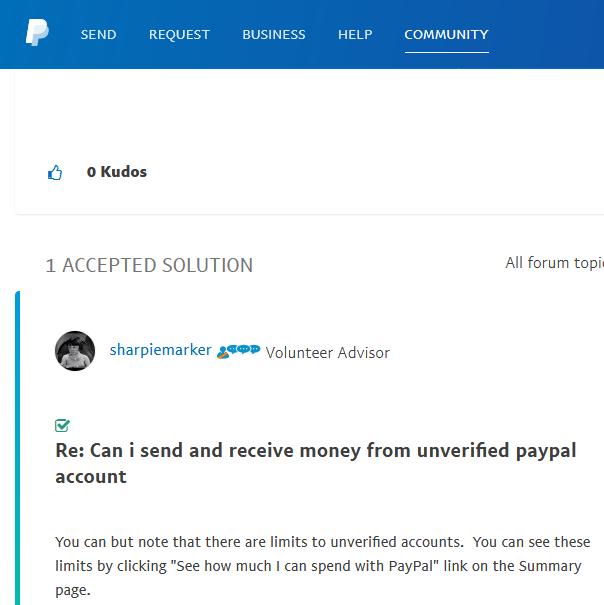 After I’ve joined several forums, communities and other platforms where PayPal is discussed and couldn’t find just a place where PayPal issues are duly resolved, I began a thorough research to help as many people as possible resolve the common account limitation challenges/occurrences and other frustrating issues they’ve been experiencing so far. And I finally figured it out with this little review (Just about 4000+ words in length) presented and dedicated to all potential online marketers wishing to get paid via PayPal from anywhere in the world. Note: There are hundreds of thousands of blogging heresies everywhere online preaching all sorts of ways to open and verify a US PayPal account from anywhere in the world. As a result of following the multitude of people who teach these heresies, several accounts have gone limited permanently and some even went limited with heavy funds in them. A US real (Not virtual) bank account (Optional). And I’m glad to tell you that you can get all these basic things from us even right now once you’re ready, and you’ll be able to run your US PayPal account officially, safely and securely in a lifetime. A US real (Not virtual) phone number, costing $14.99 (Valid for 30 days) which can be re-activated for you instantly if you so wish to own it permanently. But I’m pleased to inform you that we can help you get a free US address (E-Verifiable) to avoid fake address penalties, which can only be used tentatively for account opening purpose. So, you can buy your own US real street address whenever you have the money and can change the tentative one with yours right away in your PayPal account. So, you’ll just need to pay for a VCC and your own US real phone number to increase your sending limits and verify your PayPal account strongly, securely and safely. Note: If you only buy a VCC to verify your US PayPal account (Without verifying with a US real phone number), your sending limit will be increased to $1000 a month as you were told earlier, but, sometimes, you may be required to confirm your mobile number before you’re allowed to send payments. And this could be so frustrating in case you don’t have a mobile number that is strong enough to receive a PayPal’s SMS verification code. And if you actually used a fake phone number to open an account, and you’re now trying to send the confirmation code multiple times, the SMS verification code will never get delivered to that fake phone number and your account goes limited with the funds in it. We discovered that a lot of heresies are published on several blogs today, asking you to buy fully verified PayPal accounts or paying for a Virtual Bank Account together with a Virtual Private Network static IP server to verify a US PayPal account. We’re pleased to inform you that the US government has banned the issuing of Virtual Bank Accounts by banks across the States, and upon this, PayPal downgraded all accounts that were initially verified with VBA. Thus, if you still follow the wrong way to open a US PayPal account, using a VPN server, virtual bank account (VBA), fake address, fake phone number, and the likes, know that you’ll be responsible for the predicament. And be rest assured that you’ll spend much more money than ever in recovering your frozen funds. Warning: If you let your PayPal account go limited with funds in it, we’ll help you recover it though, you’ll incur more costs than ever as proof of address & photo ID will be required to recuperate your account. If you ever need a hand with anything going forward in your online business, on how you can get paid online safely and securely, or, perhaps, on just anything related to online business and how you can launch a personal blog, we’re an expert in these areas. We’ve figured it out with proven strategies. Just leave a comment below and you’ll hear from us in earnest. Alternatively, you may contact us using the contact form below or just knock a chat if you need our help or attention quickly. We’re fully committed to helping you succeed online. Congratulations! I can attest to the fact that I used Mr Israel’s services to open a US PayPal account. It was smooth sailing from initial contact to getting a US number and linking a card to my PayPal. Thanks to him, I have a PayPal account without limits now. I am really pleased with the excellent customer service I got. Don’t hesitate to reach out to him if you need a stress free PayPal account. Hello Adedoyin, thanks for your attestation on opening a US PayPal account using my PayPal verification service! Much excited! I included certain rules guiding the use and operation of a foreign PayPal account and how you can operate your PayPal account durably, safely, and securely. Kindly bear all of these in mind lest you face issues with PayPal in the future. Thanks for your testimony! 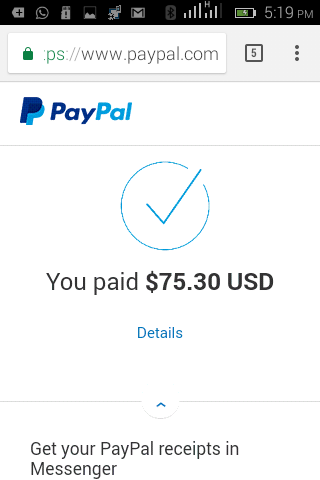 Thanks Coach for helping me get my own US PayPal account. The amazing part of the whole process was how you communicated with me throughout the process to make sure I did it correctly. Thanks for appreciating my PayPal verification service, Louis! Much excited! Promising greater services in the coming days, weeks, and months ahead for real! Operate your PayPal account safely and securely so you won’t be facing issues with PayPal in the nearest future bearing in mind all you read and learned in the post. Great mentors, but can i use d information of my love once in US? Hello Louis, kindly make your question clearer. You asked whether or not you can use someone’s information who is residing in the US. This is not clear. Try and be specific so I can help. Thanks for stopping by! Thank you for this information about PayPal account. Very helpful! I use PayPal myself so had some questions and you basically answered them. I like PayPal and think it’s pretty secure myself. 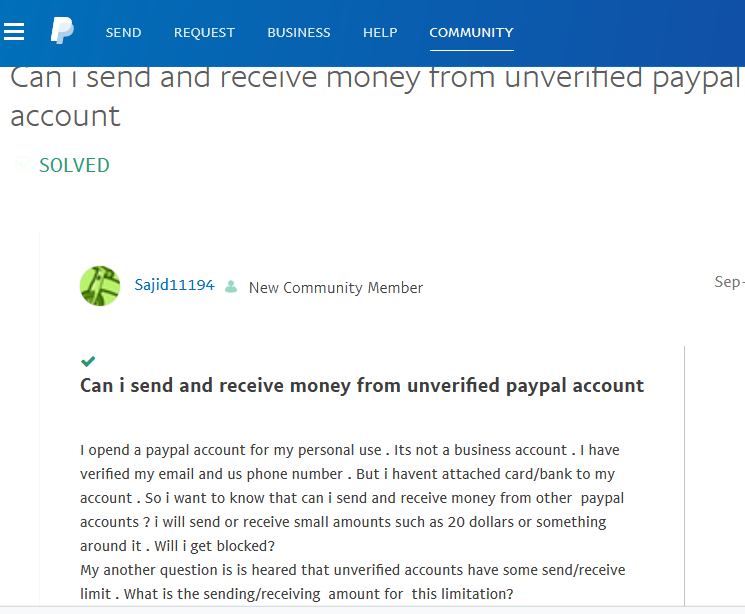 One of the main questions that got answered was : Can I send and receive money from unverified PayPal accounts. Thanks again for the great information. You did a great job! You are much welcome, Shannon! Much grateful! PayPal allows anyone from any of the recognized countries to send and receive payments with an unverified PayPal account. Thanks for the visit! The long and short is always use correct and legitimate details when dealing with any money transfer or financial institution. Our FTC monitors agencies like PayPal with a close eye to avoid money laundering and illicit purchases like Drugs or other illegal trade. Those using fake details may have more than just their income derailed by fake details but may also face criminal charges in the states. Becoming PayPal verified isn’t hard to do. Use a suite based mail forwarder like Mailboxes are us to get a street address, open a bank account in the US, and get a CellPhone with US Phone Number exclusively for use with your US Based business dealings. Thanks for a very informative article! Thanks for the comment, Andy! Much appreciated! Getting a verified US PayPal account comes with ease with a US business bank account, Employer Identification Number (EIN), a strong credit card and a US real phone number. Thanks for the visit!